Added by Indo American News on July 7, 2017. 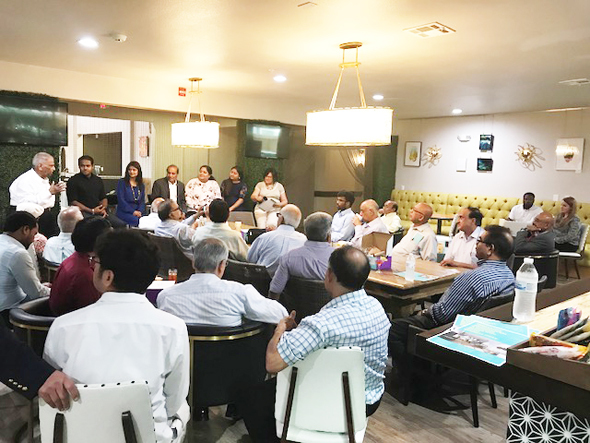 HOUSTON: American Society of Indian Engineers and Architects (ASIE), a Houston based organization for engineers, architects, designers, and engineering technicians, held their monthly meeting as a “architectural and business seminar – field trip” to Hotel Ylem located near medical center on Main Street. 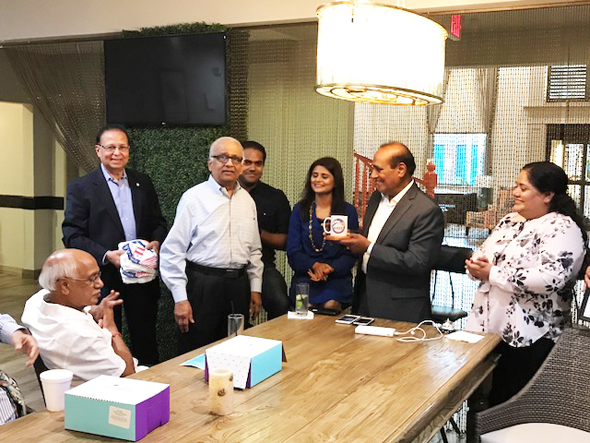 The host of the event, the hotel owner Jay Dalwadi and wife Kapila began their journey in hospitality over 35 years ago and have instilled their passion for philanthropy in their kids and developed “Dalwadi Hospitality Management Team aka DHM Team. 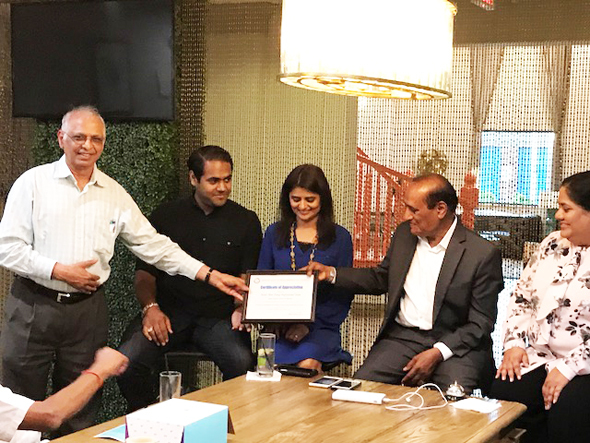 Today, Sumit, Amisha, Shital and Manisha, the all four young professionals with Bachelor’s and Master’s degree from Texas A & M, manages the Dalwadi Hospitality hotels with passion and compassion. Sumit is committed to doing business better and he believes, “It doesn’t hurt to try. What is the worst can happen? That is nothing to be afraid of.” So DHM team decided that it is time to trend in another direction. 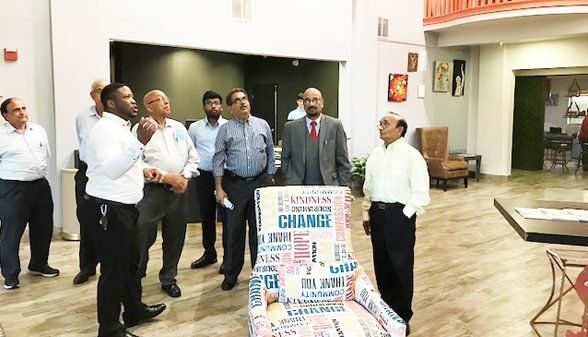 So the year 2004 Holiday Inn Express a franchise hotel, they recently reinvented as Hotel Ylem with newest innovative architectural and interior design and novel business ideas. As DHM team has open mind for creative business ideas, they have the similar mind with big heart for giving back to the community. Multicolored decorative pillows in the guest rooms they kept it for sale for $35 each, and proceeds go to Share Our Strength’s No Kid Hungry campaign. They buy Illy-brand paper cups from Lighthouse Louisiana, an organization that trains and employs the blind, and bath products come from eco-friendly Lather. Charity Water might be the biggest beneficiary of their efforts. All profits from guest-room mini-bars will go to the nonprofit. The artwork wall frames displayed by local artists in the lobby for sale, and 9 percent of the sale of any piece will go to Charity Water. 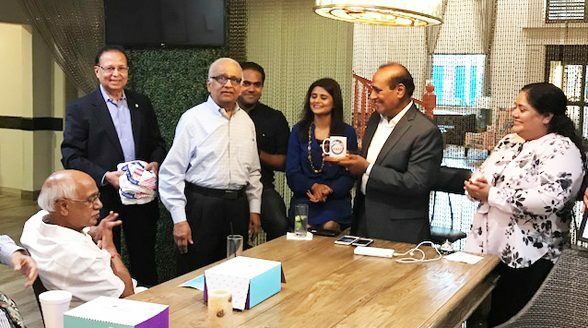 As a token of gratitude, the Certificate of Appreciation was presented to DHM Team by ASIE Architect Member Danny Shah, and the ASIE Coffee Mug and T-Shirt was presented by another ASIE Architect Member Shashi Varia. 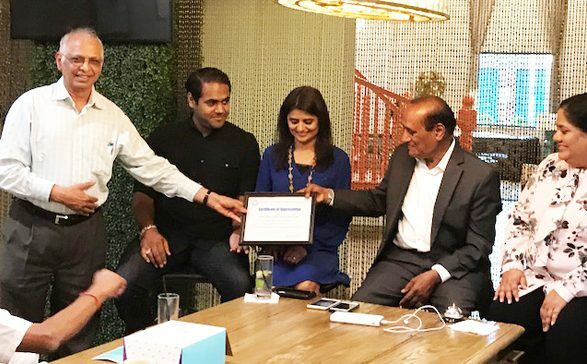 The program was concluded with a great feeling of young generation’s role in business world by inheriting the values of Indian culture and humanity. 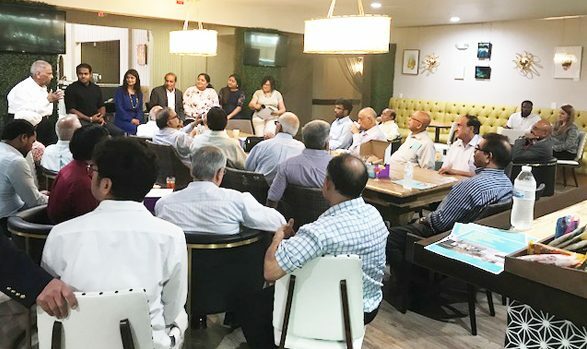 As remarked by an engineer and active member of ASIE, Avinash Patel, “Not just their hospitality, but they also gave a presentation on how they give away their time and financial help in so many great activities to make this world a better place, in spite of their busy work schedule. 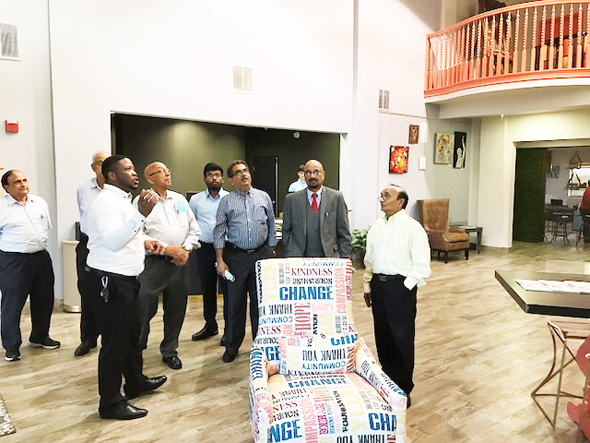 It is an excellent example of a noble business owner with Indian culture family values”.